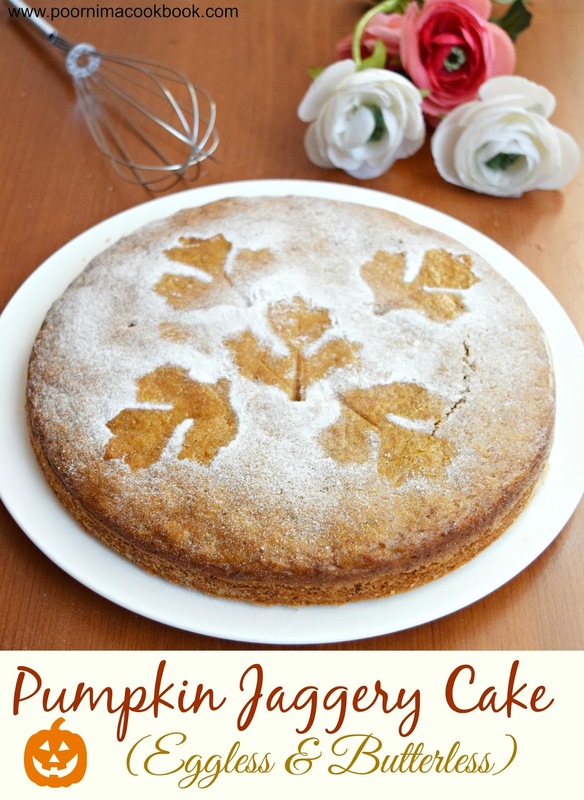 Poornima's Cook Book: Pumpkin Jaggery Cake / Pumpkin Cake - Eggless, Butterless & Sugarless! 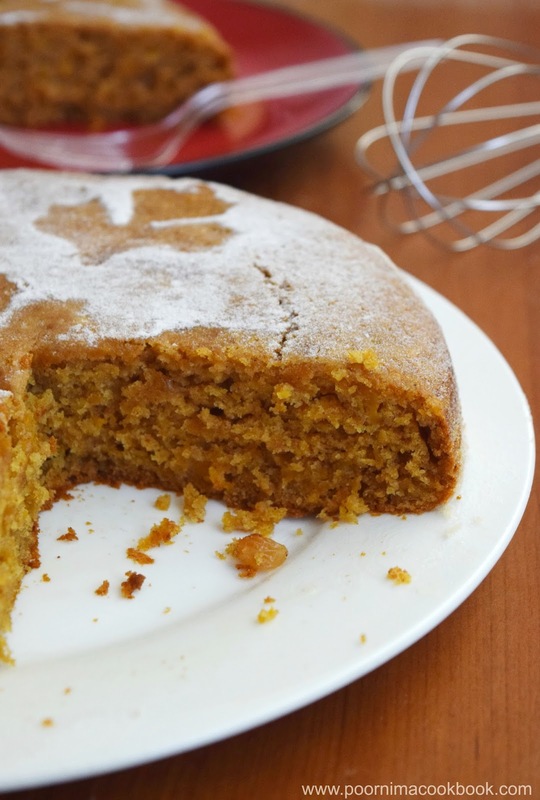 Pumpkin Jaggery Cake / Pumpkin Cake - Eggless, Butterless & Sugarless! This recipe is my entry for the event "Shhh!!! Cooking Secretly" challenge conducted by Mayuri Patel of Mayuri's Jikoni. For this month, I have paired with Priya Suresh of Priyaeasyntastyrecipes and the ingredient given by her is Pumpkin and Jaggery. I have used both the ingredients and prepared a soft, moist & delicious cake. This is an idea I got from a website with slight changes to suit my preference; the outcome is very pleasing! 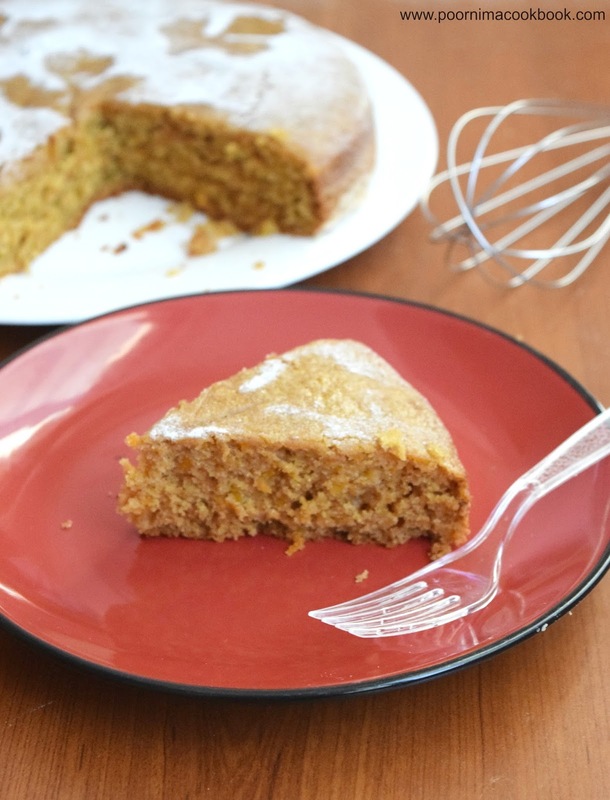 You can indulge in this cake without feeling guilty as this is Eggless, Butterless & Sugarless! Sounds interesting isn't! Try this healthy & tasty cake and give your feedback! Grate the pumpkin and keep aside. 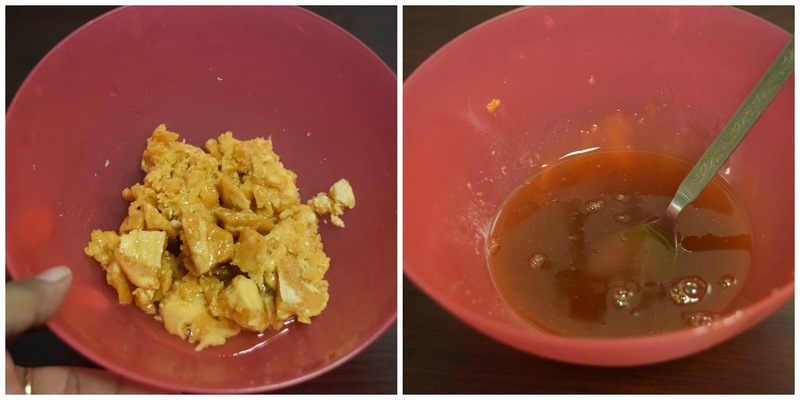 Mix jaggery and little water in a microwave safe bowl. Allow to cook till the jaggery melts and filter to remove impurities if any. Allow to cool. Take a melted jaggery in a bowl, add milk, vanilla essence and oil. Beat well. Next add all the dry ingredients(All purpose flour, cinnamon powder, baking powder, baking soda and salt) and mix it thoroughly. At last add in the grated pumpkin; mix it gently. Pour the batter into the greased cake tin. Remove from oven and allow to cool completely. Once it is cooled completely, remove cake from the pan to Slice and Serve. You can also add nuts / raisins along with grated pumpkin. so many pumpkin cake or muffin recipes use the puree. 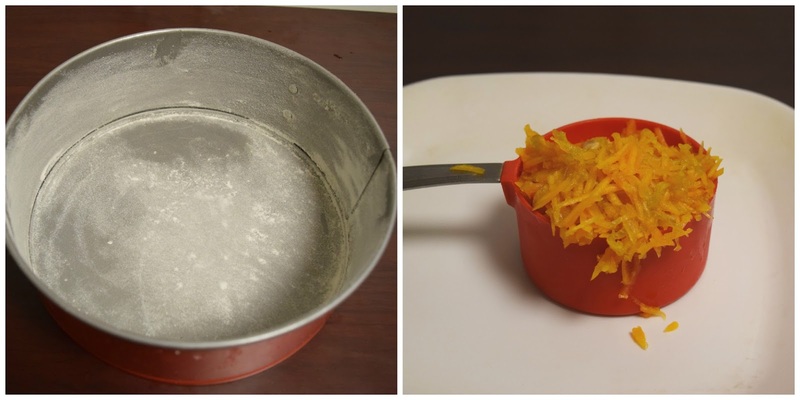 You used grated pumpkin. Great idea and cake looks so soft and delicious.